W.L. Smith & Associates Children’s Fund® is Supporting Plan International in 2017. This year, W.L. Smith & Associates Children’s Fund® is sponsoring a young girl from Boliva in South America, through Plan International. The W.L. Smith & Associates Children’s Fund® was created with an emphasis on helping the most vulnerable of children in need. We have supported initiatives here in Canada and internationally since the Fund was created. "We are supporting Plan International this year because it is one of the world's oldest and largest development agencies. They work in partnership with millions of people around the world to end global poverty. Although we are sponsoring a child through the organization, the funds go to the child and thier community, so everyone benefits. A portion of all of our sales are directed to the W.L. Smith & Associates Children’s Fund® and by supporting Plan International our sponsored child, Ana-Paula and her community in Boliva will benefit from this Fund.” - Geoffrey Quinton, CEO of W.L. Smith & Associates Limited. For more information on Plan International please visit www.plancanada.ca. This year, W.L. Smith & Associates Children’s Fund® is supporting Covenant House, Canada’s largest homeless youth agency. “The W.L. Smith & Associates Children’s Fund® was created with an emphasis on helping the most vulnerable of children in need. We have supported initiatives here in Canada since the Fund was created. When Covenant House was brought to us, it was something we felt deserved funding. The Covenant House mission is to serve suffering children of the street, and protect and safeguard all children with absolute respect and unconditional love with the vision to lead change that challenges homeless youth to pursue a life of opportunity. A portion of all of our sales are directed to the W.L. Smith & Associates Children’s Fund®. I am confident our valued customer base will agree and extend us their fullest support in this endeavor.” - Geoffrey Quinton, CEO of W.L. Smith & Associates Limited. 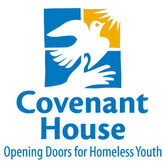 For more information on Covenant House please visit www.covenanthouse.ca. The W.L. Smith & Associates Children’s Fund®. was created to reflect the company’s desire to give back to the community in a meaningful way. “In today’s fast paced, material driven society, far too often we don’t pause to realize how blessed the majority of us are. As a father myself, I dedicate my life to providing for my own family, while at the same time realizing that there are many others in need. At W.L. Smith & Associates Limited we’ve been fortunate in serving our valued client base for over sixty years. We’ve always made a practice of being good corporate citizens with our involvement in various charitable causes. The Children’s Fund® is an extension of this philosophy of “giving back” with an emphasis on perhaps the most vulnerable of those in need. I am pleased to announce that a portion of all future sales will be directed to the W.L. Smith & Associates Children’s Fund® so that we may support children in need." - Geoffrey Quinton, CEO of W.L. Smith & Associates Limited. For more information on the specifics of the Children’s Fund® please email us at service@wlsmith.com.